Donald Trump‘s veiled threat to use nuclear weapons against North Korea is not only horrifying, but also illegal. It warrants his removal from office. Kim clarified that he would not use those weapons except in response to aggression. The president’s cavalier threat to start a nuclear holocaust cannot be dismissed as the rant of an immature bully. Trump controls a powerful nuclear arsenal. In fact, a few days after Trump’s nuclear button tweet, the Centers for Disease Control and Prevention declared it would sponsor a public meeting to cover “planning and preparation efforts” in the event of a nuclear attack. Trump’s tweet violates several laws. Threatening to use nuclear weapons runs afoul of the United Nations Charter, which forbids the use of or threat to use military force except in self-defense or when approved by the Security Council. North Korea has not mounted an armed attack on the United States nor is such an attack imminent. And the UN Security Council has not given the US its blessing to attack North Korea. Trump’s tweet also constitutes a threat to commit genocide and a crime against humanity. Lawmakers are echoing the concerns of advocates like Johnson. “A nuclear conflict on the Korean peninsula would be a catastrophe, leading to the deaths of potentially millions of people, including American service members and families stationed there,” Sen. Edward J. Markey (D-Massachusetts) stated. 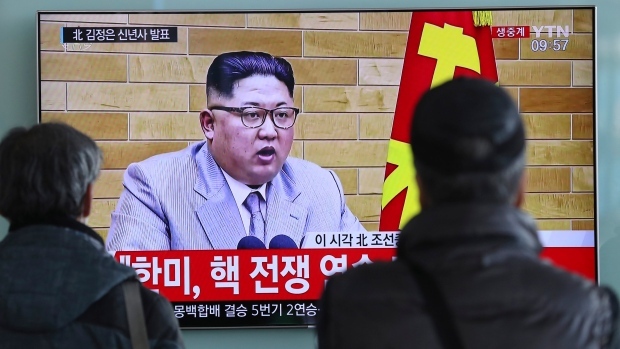 Indeed, “even a conventional war between the US and [North Korea] could kill more than 1 million people; a nuclear exchange, therefore might result in tens of millions of casualties,” The Intercept reported. Eliot A. Cohen, assistant to Secretary of State Condoleezza Rice during the George W. Bush administration, was alarmed by Trump’s nuclear button tweet. A president can be constitutionally removed from office — either by using the 25th Amendment or impeachment — even without actually committing a crime. The 25th Amendment provides for the vice president to assume the presidency when he and a majority of the president’s cabinet declare in writing that the president “is unable to discharge the powers and duties of his office.” If the president challenges that determination, two-thirds of both houses of Congress are required to affirm that the president is unable to discharge the powers and duties of his office. The Constitution provides for impeachment when the president commits “high crimes and misdemeanors.” This does not require actual law breaking. A president can be impeached for abuse of power or obstruction of justice, which were two of the articles of impeachment charged against Richard Nixon. As I described in my article, “Time to Impeach Trump,” his illegal threats against North Korea and his efforts to obstruct justice regarding the Russia investigation constitute grounds for impeachment. But we cannot expect the Republican-controlled Congress will either impeach Trump or affirm a decision to remove him under the 25th Amendment. They are thrilled that Trump spearheaded their tax cuts for the rich and is appointing radical right-wing judges who will eliminate reproductive and LGBTQ rights. Rep. Jamie Raskin (D-Maryland) introduced a bill that would establish a commission to evaluate Trump’s fitness for office. It has 57 co-sponsors. Tell your Congress member to sign on as a co-sponsor to H.R. 1987, the Oversight Commission on Presidential Capacity Act. Marjorie Cohn is professor emerita at Thomas Jefferson School of Law, former president of the National Lawyers Guild, deputy secretary general of the International Association of Democratic Lawyers, and a member of Jewish Voice for Peace. She is co-author (with Kathleen Gilberd) of Rules of Disengagement: The Politics and Honor of Military Dissent. The second, updated edition of her book, Drones and Targeted Killing: Legal, Moral, and Geopolitical Issues, was published in November. Visit her website: MarjorieCohn.com. Follow her on Twitter: @MarjorieCohn. Featured image is from CTV News.